﻿ Accounting of patients in the clinic in Excel. For sale. Accounting of patients in the clinic in Excel. For sale. Table in Excel, "Registration of patients" is intended for record keeping of patients in hospitals. The table provides a directory of patients, which recorded the names of patients. 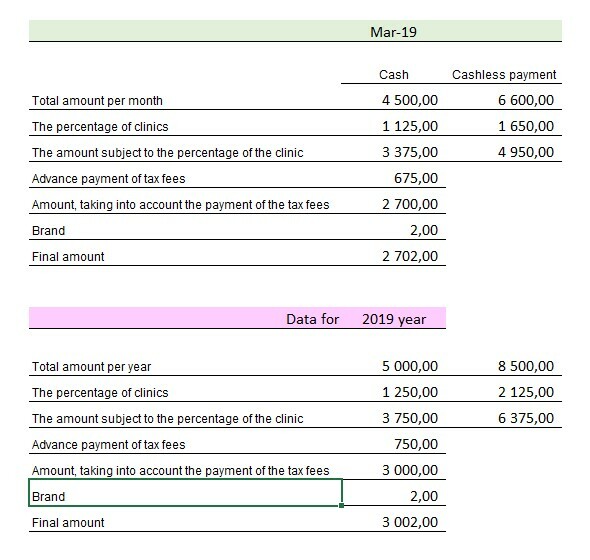 In the table "Accounting of patients in the clinic" is an automatic calculation of monthly and annual income of the clinic, with the account of the costs of taxes.